, taking into account the City Clerk's Office deadlines for submission. Public Body or related City Staff will then create a meeting event on the City Calendar. The Clerk will link the submitted meeting notice to that Calendar event as well as list the meeting noticed under the related Public Body's agendas section of the City Website. The complete instructions and order of operations is listed below. Public Body: Review the City Clerk's Office daily deadline for submitting Meeting Notices. Will create or edit the Calendar Event related to this meeting. Public Body: Create a typed meeting notice, save it as a PDF; the file's name should contain the name of the Public Body and the Date of the Meeting. , Subject: Public Body's Name. Body of Email: Meeting Day/Time, and Location. City Clerk: Will link the Meeting Notice document to the Calendar Event and the Public Body's webpage as well as maintain a physical copy for the City's records. City Clerk: Notify the Public Body via email confirming the meeting has been posted and filed with the Clerk's Office. Public Body: Should review the City's Calendar for accuracy. Please refer to the Open Meeting Law and the meeting process listed herein. Meeting Notices must be filed with the City Clerk's Office. 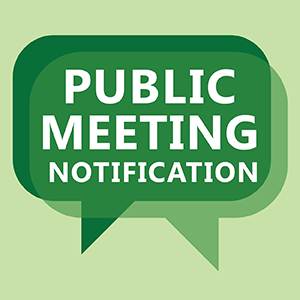 The Clerk's Office will post all compliant meeting notices at least 48 hours in advance of the public meeting, excluding Saturdays, Sundays, and legal holidays. lists the topics that the Chair reasonably anticipates will be discussed at the meeting with sufficient specificity to advise the public of the issues the public body will discuss (often referred to as agenda). To create a Meeting Notice, you may use the Template Meeting Notice (Word Document) for your convenience. The Clerk's Office will post meeting notices both a physical copy at City Hall and an electronic copy on the City's Website. To allow for enough time to meet, at least 48 hours in advance of the public meeting, excluding Saturdays, Sundays and legal holidays, the Clerk's Office will post meeting notices at 2:30 pm Monday thru Thursday and at 11:30 am on Friday and must receive a complete meeting notice (see Public Bodies section above) 50 hours (excluding Saturdays, Sundays and legal holidays) ahead of the meeting time, which is 2 hours ahead of the 48 hours mandatory minimum. For example: A Monday 9 am meeting will need to received by the Clerk's Office before 2:30 pm on Wednesday, as 2:30 PM would be the latest deadline to have the Clerk's Office post the meeting notice and be compliant. The chart below shows the daily deadlines and the earliest that a meeting could occur if it was received by the day's deadline. The Attorney General's Office holds free educational forums throughout the state. The AG’s Office will also offer a live web-based training on the Open Meeting Law. These workshops provide guidance and updates about compliance with the Open Meeting Law. For more information on training from the Attorney General's Office, click here.